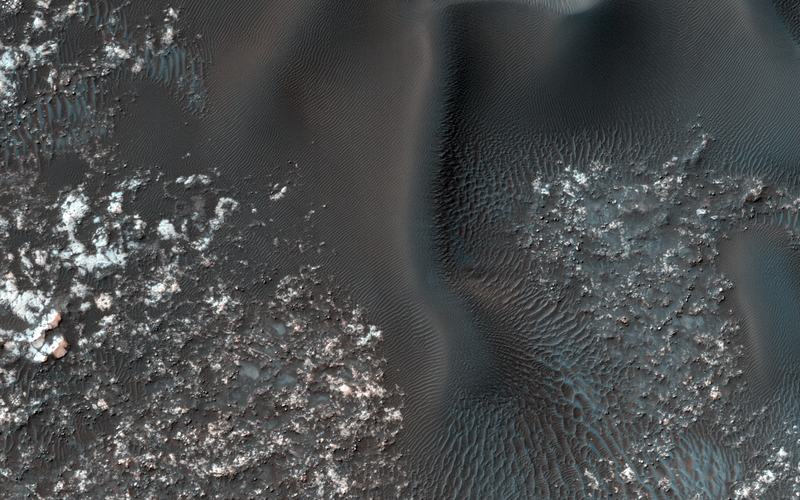 On the west (left) side of this image, fairly textbook-looking barchan sand dunes sit atop the bedrock. Barchan dunes pointing in the opposite direction are just a few kilometers away to the east. 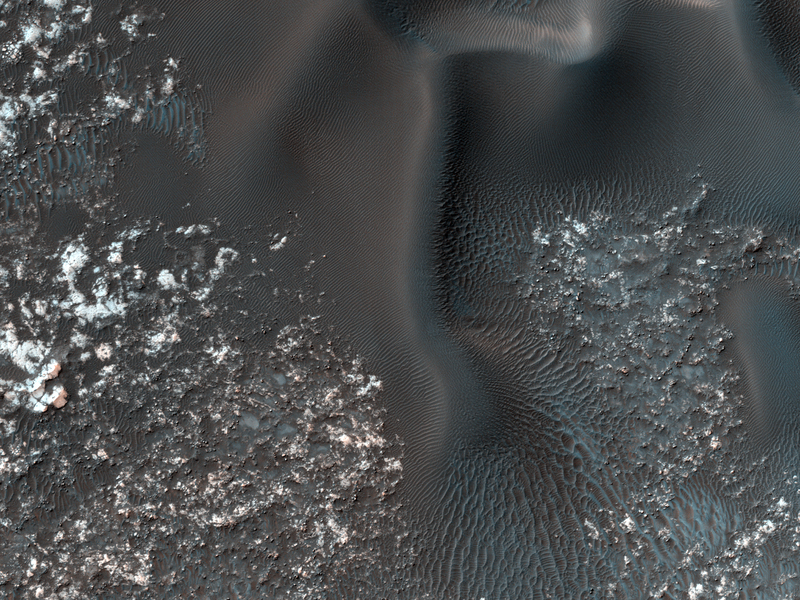 In between these opposing barchan dunes are star dunes. Barchan dunes form when the sand-moving wind is fairly unidirectional. 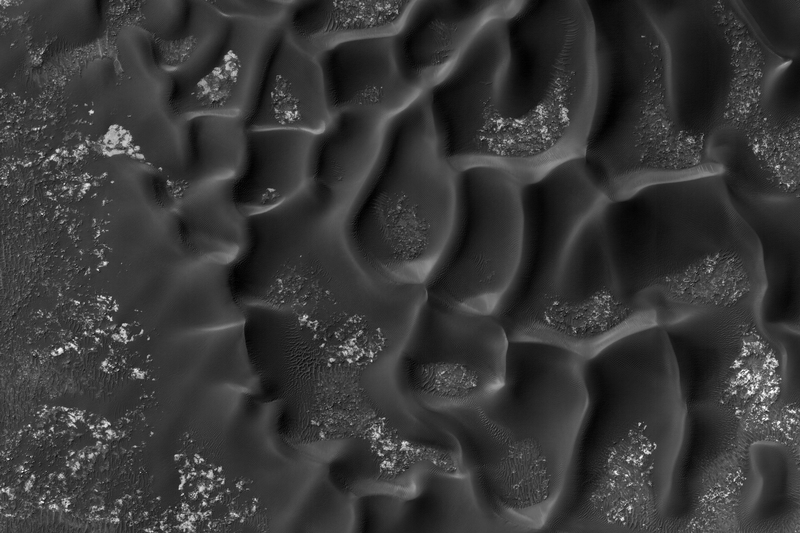 Star dunes, in contrast, form when the sand-moving wind comes from multiple directions—not all at once, but from varying directions at different times of day or year. Where is the sand coming from? As with most places on Mars...well, that’s an area of on-going research. 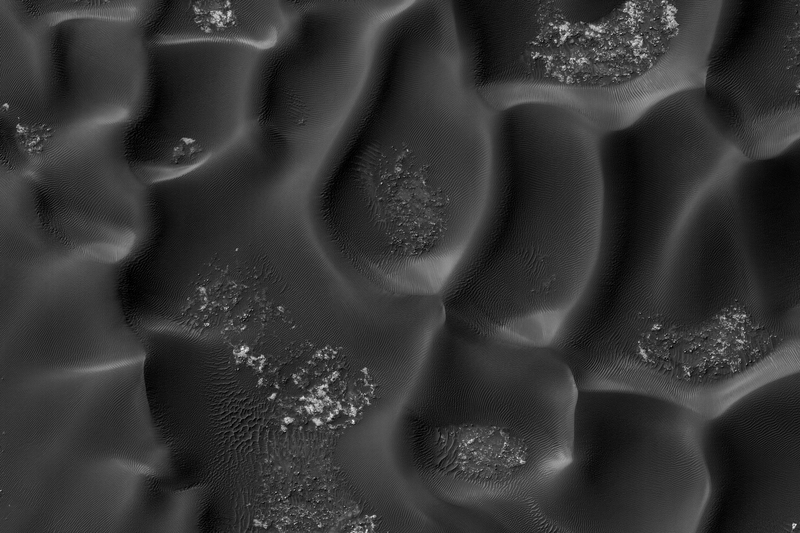 But the star dunes are telling us that this area seems to be accumulating sand.